Have you ever thought of standing between Heaven and Hell….? 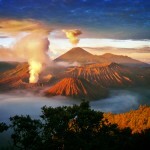 Mount Bromo give you this impression. 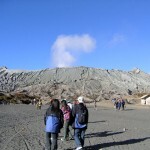 Mount Bromo, the volcano remains active and best called a tourist attraction in eastern a part of Java. As a tourist object, Mount Bromo become engaging thanks to its standing because the volcano remains active volcano. 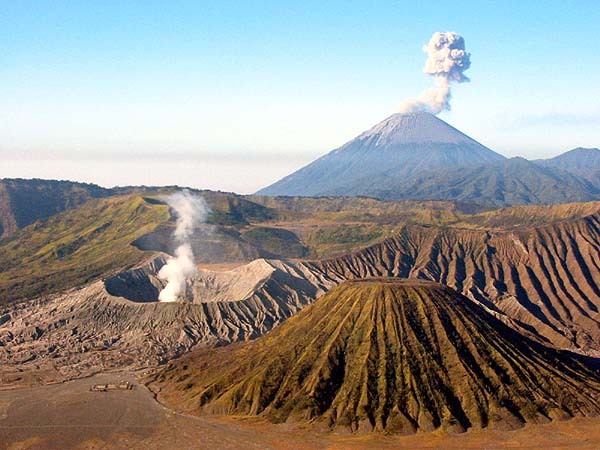 Mount Bromo is enclosed within the space of Bromo, Tengger and Semeru park . Bromo has a height of 2,329 meters above water level it absolutely was in four areas, particularly Probolinggo, Pasuruan, Lumajang and Malang. Mount Bromo form mesh between valleys and canyons with the crater or the ocean of sand covering concerning ten square kilometers. Mount Bromo has a crater with a diameter of ± 800 meters (north-south) and approximately 600 meters (east-west). while the danger space of ​​a circle with a radius of four kilometer from the middle of the crater of Bromo.